Everything from window gaskets to custom extrusions and value-added finishing. 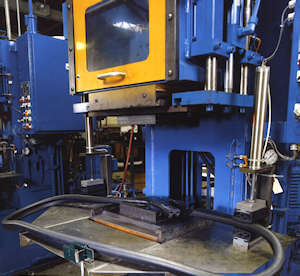 We have been in the business of producing quality extruded rubber products for over 75 years. 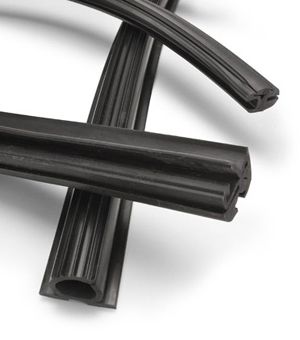 Our engineered rubber products include rubber gaskets for the automotive industry. We also produce molded products for a variety of applications. Our customers know that we provide services under one roof that complete their projects economically and efficiently. We want to work with you at any stage of product development to help implement your ideas and address all your goals. This ensures your project is made to the highest quality at the lowest cost with the shortest turnaround possible. Allows us to meet our customers demands for continuous length profiles. We offer complete die design and fabrication services in-house. Notching, punching, drilling and water jet cutting. State-of-the-art injection splice presses to handle all of your splicing requirements. Our Smoke and Flame Resistant Compounds are perfect for your needs. Whether it’s a window gasket or door edge, we have a compound that will meet your Smoke and Flame Rubber requirements. We have a proven track record in supplying many transit authorities and our parts can be found on trains and buses throughout North America.